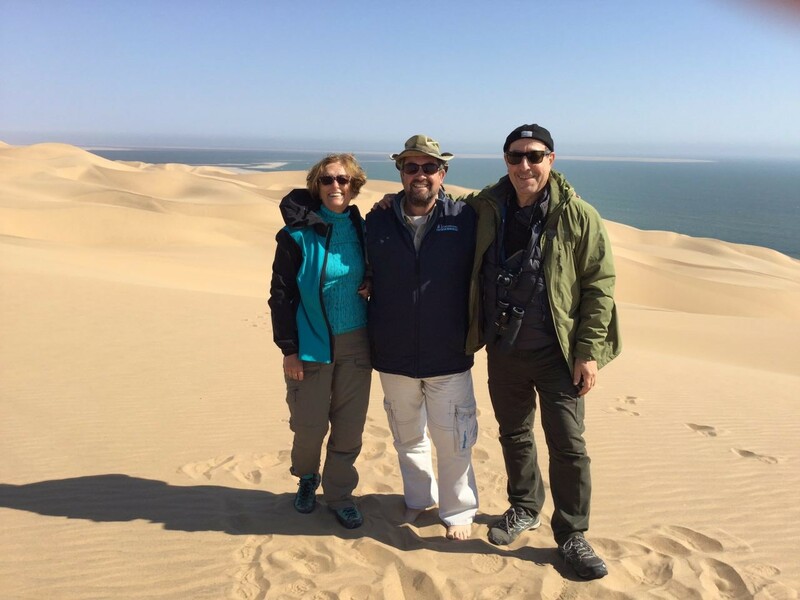 Susan in Africa: Mr. De Cesare & Mrs. Lumina meet the Himbas! Mr. De Cesare & Mrs. Lumina meet the Himbas! Last month, August 2017, Mr. De Cesare & Mrs. Lumina decided to embark on a memorable route to Namibia. 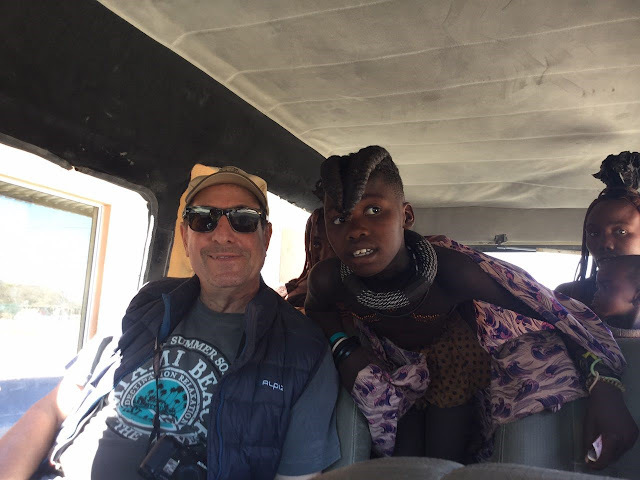 On one of their stops, they decided to take some pictures with the Himbas, one of the local tribes. 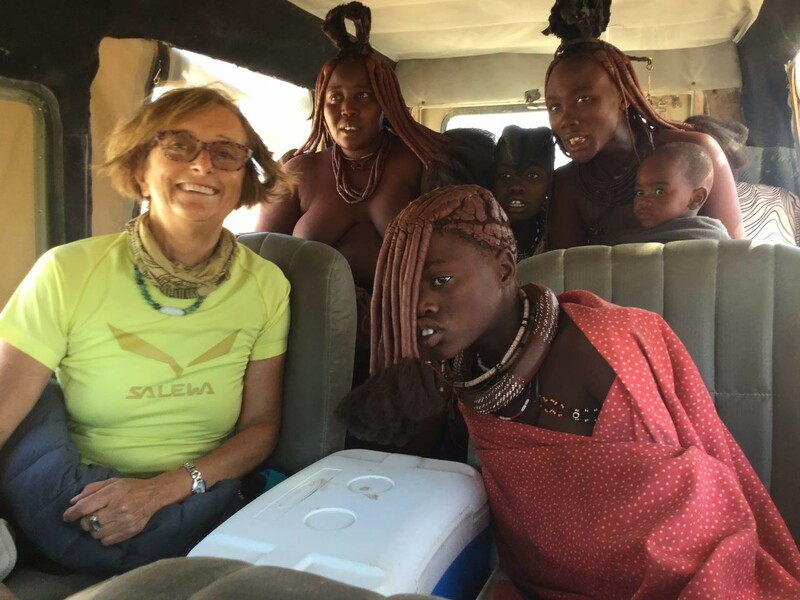 The Himba kids were so excited to ride on their 4x4 vehicle. 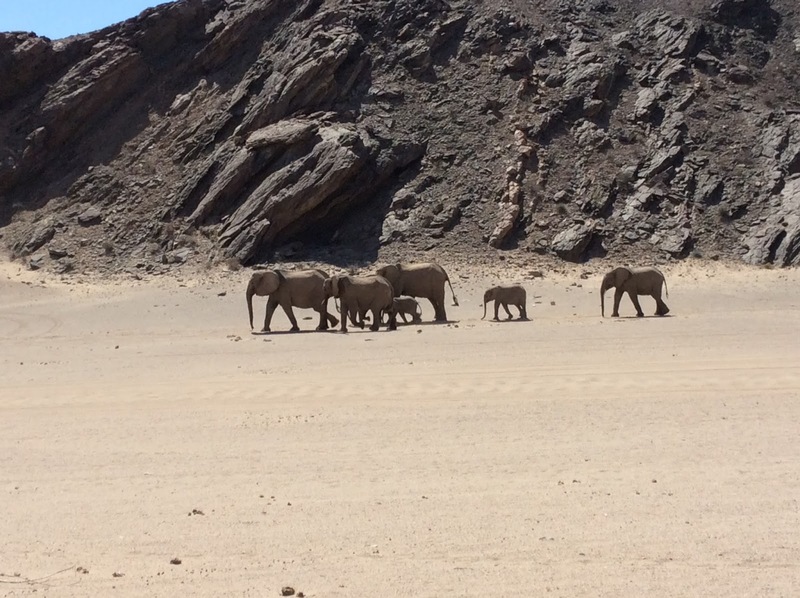 On their way they also met the Desert Elephants !